The presentation given by IBM's IBM i Virtural User Group last Wednesday (November 13, 2013), called Modern RPG - a look at the new and improved free form and other modernization, can either view or download the presentation below. 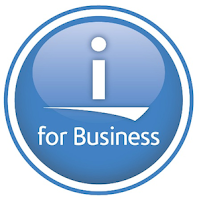 VUG's next meeting is on Wednesday December 11, 2013 at 10:00 - 11 AM US Central Time, and is called IBM i 7.1 TR7 DB2 Enhancements. Similar to previous Technology Refreshes, the DB2 for i team is delivering enhancements to IBM i 6.1 and 7.1 in the same time frame as the Technology Refresh PTF Group delivers hardware, firmware and virtualization enhancements. Attend this session to learn about database enhancements becoming available with DB2 for i PTF Groups which are timed to be released with the TR enhancements. To register for the GotoMeeting here. You can convert this time to your time zone here. If you do not see the presentation below you can download it and play at your leisure from here.